The “jihad” of terrorism deviates from Islamic jihad in four ways. Firstly, Islamic jihad is to be authorized by a recognized authority to deter aggression. Terrorists – individuals and groups who are not legitimate leaders in any way – act as aggressors to strike fear rather than directly counter any aggression. Using their own rationalizations, terrorism “jihad” ignores the arguments of anti-terrorism Muslim imams and scholars. ISIS, for example, establishes itself as an authority (a “caliphate”) and improperly uses jihad to gain territory and force their views onto others. Secondly, Islamic jihad is to only focus on active enemy combatants, but terrorists routinely kill innocent civilians, the majority of whom are Muslim. Pre-modern jihad discussion focused on the immunity of non-combatants and the need for proportionality of force. This Jus in Bello (law of war) is downplayed in modern terrorism, as shown by the killing of innocent people. Additionally, the “jihad” of terrorism often calls for greater violence than the violence terrorists claim to be fighting against. Thirdly, jihad is to be a public declaration, but terrorism is plotted secretly and as surprise attacks. Finally, jihad has many rules and restrictions, while terrorism has transgressed all bounds of respect for human life, killing innocent children and terrorizing nations. Some terrorists “rationalize” this by claiming that the US government is indiscriminate in its drone strikes, and that the innocent victims selected the government. Such rationalization only seeks an “eye for an eye,” and fulfills nothing but a misdirected sense of anger and revenge. 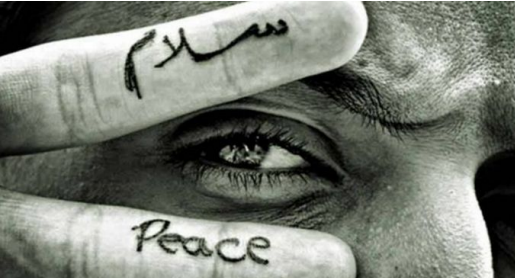 Muslims strive to have a piece of a human here and a piece of a human there. 0ver 1400 years of history has proven that to be the case. A fairly one sided selection of sources here if I may say so. It would not be difficult to find more aggressive definitions of jihad from Islamic scholars past and present. A great God based and morality based religion is not worth the name religion at all if it does not support JIHAD that is : taking efforts, struggling hard and if necessary taking arms by the good against the evil. Palestinians can under strict Islamic leadership can start an armed liberation movement to liberate their nation by Jihad That is approved Jihad on any interpretation but not by terrorism but guided by a Imam(a Muslim leader). Did not the Americans carry out Jihad in various countries fighting against aggression, oppression, occupation, persecution, tyranny, discrimination, human right violations and injustice. If Muslims do it as per strict religious rules why brand with a different name. The Quran chooses a vaguer, richer word jihad with a wide range of connotations. The Jihad is not one of the five pillars of Islam. It is not the central prop of the religion despite the common view of non-Muslims. But it was and remains a duty for Muslims to commit themselves to a struggle on all fronts- moral, spiritual and political—to create a just and decent society, where the poor and the vulnerable are not exploited, in the way that God had intended man to live. This duty is applied by all religious groups and nations too. Was not fighting against Hitler’s ideology a jihad? War of justice war against aggression. Which national ideology accept aggression peacefully? There is a well known saying of Muhammad(pbuh). He was returning from a battle. Quote “WE RETURN FROM THE LITTLE JIHAD TO THE GREATER JIHAD”. The little Jihad he mentioned was the battle and the greater Jihad he mentioned was conquering the forces of evil in oneself and in one’s own society in all the details of daily life. When the people of a territory were chased out of their land like morbid dogs by the merciless hordes and aggressors ( as it happened in Palestine) the people of Palestine can engage in Jihad but strictly under the laws of Islam following their spiritual leader. You want a present day example , you got one. killing.” Holy Quran 2: 213. So as an example the persecuted Palestinians have every right to do Jihad.